ISLAMABAD: If people cannot adapt to future climate temperatures due to global warming, deaths caused by severe heat waves will increase dramatically in tropical and subtropical regions, followed closely by Australia, Europe and the US, warns a study. For the study, published in the journal PLOS Medicine, the researchers developed a model to estimate the number of deaths related to heat waves in 412 communities across 20 countries for the period of 2031 to 2080. 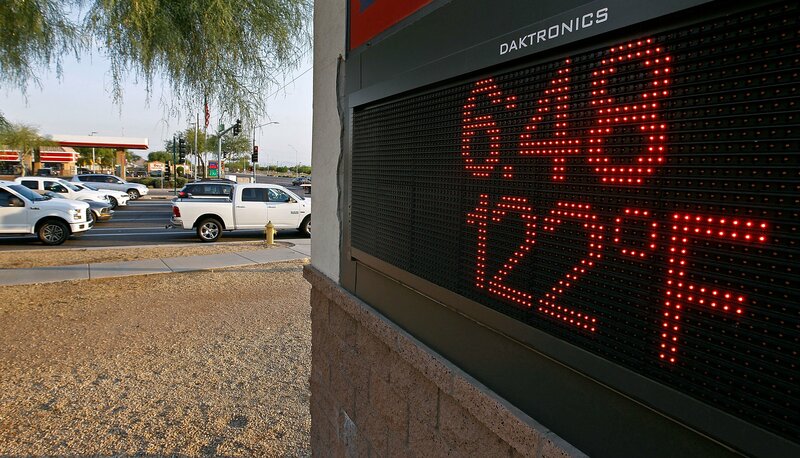 “Future heat waves, in particular, will be more frequent, more intense and will last much longer,” said study leader Yuming Guo, associate professor at Monash University in Melbourne, Australia. “If we cannot find a way to mitigate the climate change and reduce the heat wave days and help people adapt to them, there will be a big increase of heat wave-related deaths in the future, particularly in the poor countries located around the equator,” Guo said. It projected excess mortality in relation to heat waves in the future under different scenarios characterised by levels of greenhouse gas emissions, preparedness and adaptation strategies and population density across these regions. A key finding of the study showed that under the extreme scenario, there will be a 471 per cent increase in deaths caused by heat waves in three Australian cities (Brisbane, Sydney and Melbourne) in comparison with the period 1971-2010. The study comes as many countries around the world have been affected by severe heat waves, leaving thousands dead and tens of thousands more suffering from heatstroke-related illnesses. The collective death toll across India, Greece, Japan and Canada continues to rise as the regions swelter through record temperatures, humidity, and wildfires. Since the turn of the century, it is thought that heat waves have been responsible for tens of thousands of deaths, including regions of Europe and Russia, said study co-author, Antonio Gasparrini, associate professor at London School of Hygiene and Tropical Medicine. Worryingly, research shows that it is highly likely that there will be an increase in their frequency and severity under a changing climate,” Gasparrini said.